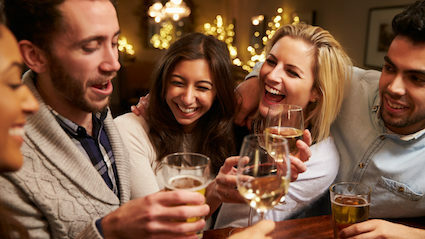 MOST social events are just people making loud noises at each other, experts have confirmed. Professor Henry Brubaker, of the Institute for Studies, said: “Human socialisation seems to centre around one key factor: volume. That is why people attend loud pubs, clubs, gigs, matches and other places they are encouraged to ‘make noise’. “We found our test subjects were willing to pay hundreds of pounds for gig tickets just to scream over the music they claim they came to hear, under the guise of showing appreciation. “Going out is rarely motivated by the company and conversation, but to have social permission to bellow and slap our hands together like morons. BORIS Johnson and David Davis have confirmed that they quit the cabinet to go backpacking around South East Asia together. The former Brexit minister and foreign secretary announced that they had been planning the trip for ages and just could not wait to get to the full moon raves on the beaches of Thailand. 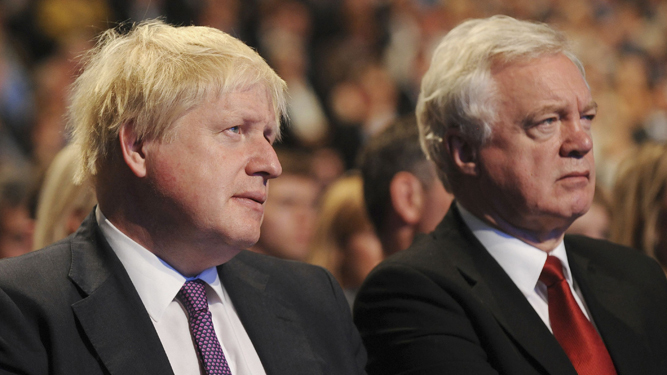 Johnson said: “Just a couple of lads, Bojo and Double D, that’s what we’ll tell the ladyboys our names are. Davis said: “We’re hoping to make it down to Indonesia to at some point and maybe take some magic mushrooms. “Then when we’re high as a kite on the funky fungus, we’ll sit down and come up with our own Brexit plan.